On December 12, 2016 the Supreme Court of New Jersey decided the case of Thieme-v-Aucoin-Thieme, regarding equitable distribution and/or the use of a constructive trust in a post-judgment dispute over deferred compensation paid to one spouse after the parties’ divorce. In this case, the Plaintiff/Husband had been employed by a friend’s biotechnology consulting business since 1999, initially as a consultant and then as a “Director of Special Projects”. The Plaintiff had no stock or ownership interest in the company, but worked grueling hours and traveled all over the world to make the company a success. His salary reached $180,000 per year by the time that the parties’ divorced. The parties in this case met in 2001 when the Defendant was then employed in a retail job. The parties began to cohabit in 2002 when the Defendant became pregnant with the parties’ daughter. Also in 2002, the Plaintiff approached his employer to discuss his compensation. Plaintiff and his employer signed a “Statement of Understanding” in which his employer agreed to compensate Plaintiff should the company be sold in the future. This compensation could include an equity position in the company, salary or other tangible method of compensation. The Husband, however, later argued that this agreement was not enforceable because the additional compensation was not quantified. The parties also disputed when it was that Plaintiff informed Defendant of this Statement of Understanding. After the parties’ daughter was born, they agreed that Defendant not work and that she would stay home to care for the child, maintain the home, pay the bills, manage the parties’ rental properties so that Plaintiff could work. The parties disputed, however, the extent to which Defendant contributed to the advancement of Plaintiff’s career. In 2006, Plaintiff’s employer began some preliminary discussions about selling the business. Defendant claimed that Plaintiff told her at that time that he had an agreement with his employer that would allow him to share in any proceeds from the company’s sale, and that the parties bought a house in expectation of that extra compensation. The parties disputed, however, whether they intended to marry. Ultimately, the company was not sold. The parties relocated to Virginia for several years in order for the Plaintiff to pursue a government contract for his employer. The parties returned to New Jersey in 2009. Their relationship at this point was tempestuous, and each party accused the other of physical and emotional abuse. In an email, however, Plaintiff acknowledged the sacrifices that Defendant made to her own educational and career goals to stay home and care for their daughter so that Plaintiff could work long hours and pursue his career. He admitted that it was appropriate for him to support Defendant fully given her sacrifices. The parties decided to marry in 2010, but their relationship worsened. Defendant sent inflammatory emails about Plaintiff to his employer and his coworkers, disparaged Plaintiff and his employer in those emails, and claimed that Plaintiff’s employer owed her money. After just 14 months of marriage, Plaintiff filed a divorce complaint. With the assistance of counsel, the parties began negotiating a property settlement agreement. During negotiations, Plaintiff told Defendant that he did not expect to get any large bonus or stock for his employer, that he expected approximately $30,000 at best after taxes, and that the parties could share that if he received it. He did not expect that he would be compensated soon, and suggested that Defendant not delay settlement for a sale that might never occur. He indicated that he did not expect to receive stock or ownership in his employer, but that they could revisit the issue if he acquired an ownership interest in the future. The parties signed a Property Settlement Agreement in April, 2012 in which they resolved not only issues of alimony, child support and custody, but they agreed to divide all assets acquired during the period of cohabitation and during the marriage. They made no provision to divide any deferred compensation or future ownership interest by the Plaintiff in his employer, should he acquire any in the future. Three months later, the defendant’s employer sold the business to another company, and paid the Plaintiff a one-time closing bonus of $2,250,000 in recognition of his thirteen years of hard work to make the company successful, and in recognition of the 2002 Statement of Understanding. 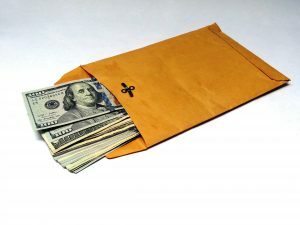 Defendant discovered that Plaintiff received a closing bonus after he deposited $200,000 into a joint account of theirs, leading her to withdraw that $200,000. Plaintiff filed a post-judgment application seeking return of that $200,000; Defendant asserted that Plaintiff committed a fraud by failing to inform her of the substantial $2.25 million closing bonus. The family court held a three day post-judgment hearing to decide whether Defendant was entitled to distribution of any of the closing bonus and whether she could retain the $200,000 that she had withdrawn. The court concluded that the closing bonus was earned by the Plaintiff through his entire employment, and that Defendant was entitled to distribution only of the portion of the bonus earned during the fourteen months of their marriage, and not for the 8 years of their premarital cohabitation. The family court argued that the equitable distribution statute only authorized the family court to equitably distribute assets acquired during a marriage or civil union. The court calculated that the Husband earned the bonus at the rate of $14,423 per month. After multiplying that figure by fourteen months of the marriage and subtracting taxes on the bonus, the Court determined that $100,961 was subject to equitable distribution. The court awarded Defendant 30%, or $30,288, and ordered her to return $169,712 to Plaintiff. The Supreme Court of New Jersey affirmed the Court’s decision as to the portion of the bonus subject to equitable distribution, reasoning that the equitable distribution statute, N.J.S.A. 2A:34-23.1, authorizes a family court to distribute assets “in all actions where a judgment of divorce, dissolution of civil union, divorce from bed and board or legal separation from a partner in a civil union couple is entered.” N.J.S.A. 2A:34-23(h). The statute does not “embrace an action on a contract between unmarried cohabitants”, and does not govern disputes over property acquired by non-married cohabitants. The statute limits equitable distribution to property acquired during a marriage or civil union. As such, the Supreme Court found that the family court had properly calculated the portion of the bonus earned during the 14 months of marriage and that the family court equitably distributed that portion to the Defendant. This portion of the trial court’s decision was affirmed. The Supreme Court rejected the Defendant’s argument that under Weiss v. Weiss, 226 N.J. Super. 281 (App. Div. 1988), and Berrie v. Berrie, 252 N.J. Super. 235 (App. Div. 1991), the bonus paid to the Plaintiff was subject to equitable distribution as an asset acquired in contemplation of marriage. The Court reasoned that neither case supports the proposition that premarital compensation earned by one spouse prior to marriage was subject to equitable distribution. The Court also noted that in Berrie, the wife had made a direct contribution to the husband’s business as a key employee prior to the marriage, which was not the case here. The Supreme Court did not interpret either case to construe the equitable distribution statute as treating assets acquired prior to the marriage as the same as assets acquired during the marriage. The Supreme Court, however, did agree with the Defendant’s argument on appeal that she was entitled to a share of the bonus earned prior to the marriage and during the period of cohabitation in order to avoid the Plaintiff’s unjust enrichment. The Supreme Court noted that the family court is a court of equity, and that the imposition of a constructive trust to the bonus required that Defendant prove that Plaintiff “received a benefit and that retention of that benefit without payment would be unjust.” Iliadis v. Wal-Mart Stores, Inc., 191 N.J. 88, 110 (2007). The Supreme Court noted that “When property has been acquired in such circumstances that the holder of the legal title may not in good conscience retain the beneficial interest, equity converts him into a trustee.” Carr v. Carr, 120 N.J. 336 (1990). The Court felt that a constructive trust should have been imposed here given the “unusual circumstances” of this case. The parties considered the possibility that the Plaintiff would be compensated in the future when making personal and financial decisions for the family. It was not mere wishful thinking that Plaintiff would be compensated in the future given his employer’s written commitment to him in the 2002 Statement of Understanding, even if that document was not legally enforceable. It conveyed a message wherein Plaintiff’s employer acknowledged that Plaintiff was a key, valuable employee and that the company wanted to reward the Plaintiff for his hard work if the company were to be sold. The Court noted that Plaintiff worked a grueling schedule which impacted the family, and that he rejected Defendant’s suggestion that he obtain a less demanding job in order for him to help care for the parties’ child, that Plaintiff viewed his retaining this job as critical to the family’s future, that Defendant made sacrifices to her own education and career to stay home and care for the parties’ child, and that Defendant relocated out of state with Plaintiff in order for him to pursue an opportunity for his employer. The Court noted that they made financial decisions based on the possibility of Plaintiff being rewarded by his employer int he future. The Supreme Court acknowledged that Defendant sent potentially disruptive emails during the parties’ relationship to his employer and coworkers, but noted that Plaintiff was not blameless in his interactions with Defendant. The Court also relied on emails that Plaintiff sent to Defendant in which he acknowledged her sacrifices which allowed him to work, and the appropriateness that he support her. He further acknowledged that she should share in assets acquired since the start of their cohabitation and that they could address in the future how to share compensation his employer might pay him if the company were sold in the future. The Supreme Court thus concluded that a portion of the closing bonus that the Plaintiff earned during the parties’ premarital cohabitation should be deemed held in constructive trust by Plaintiff for the Defendant. The Court did not determine how the portion of the bonus earned prior to the marriage would be allocated to Defendant, leaving that for the trial court to determine on remand.